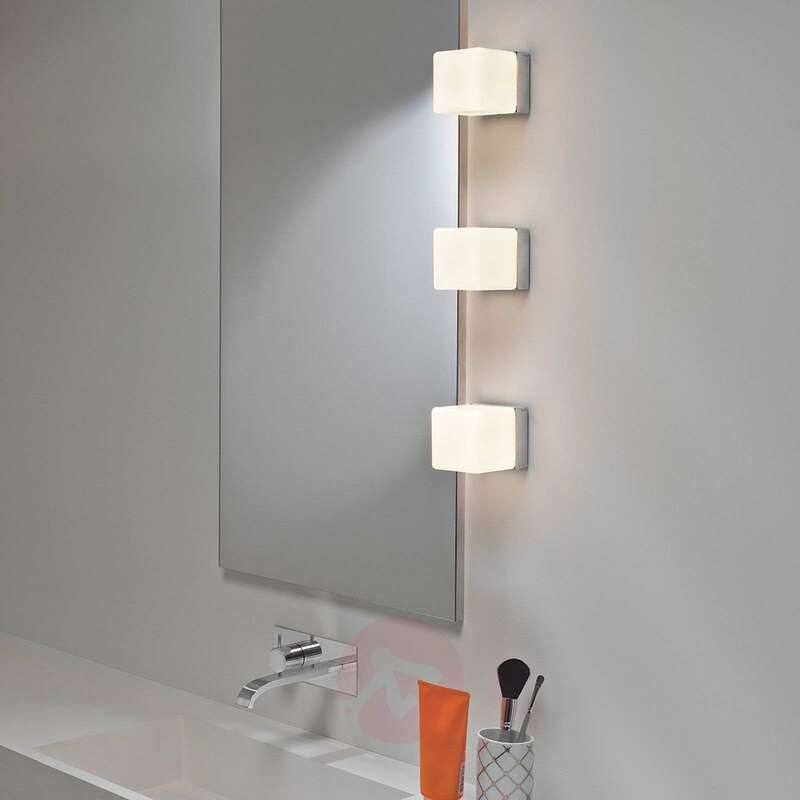 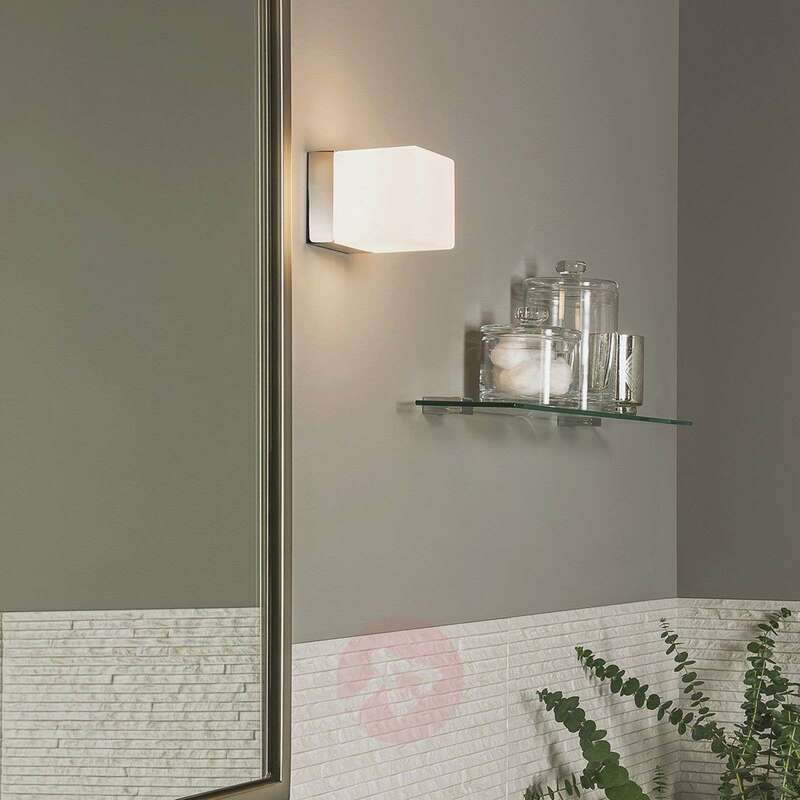 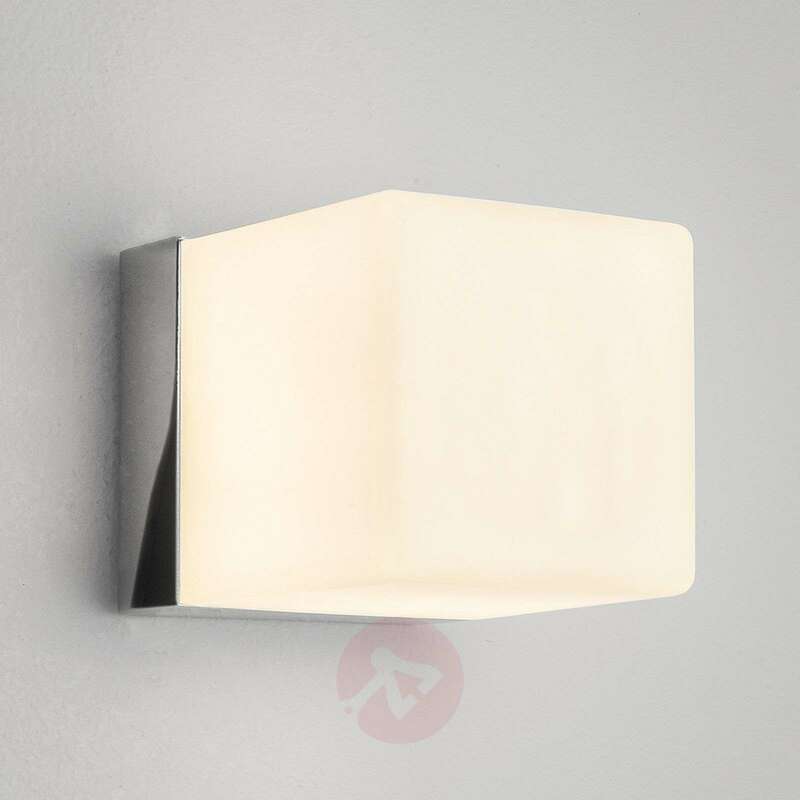 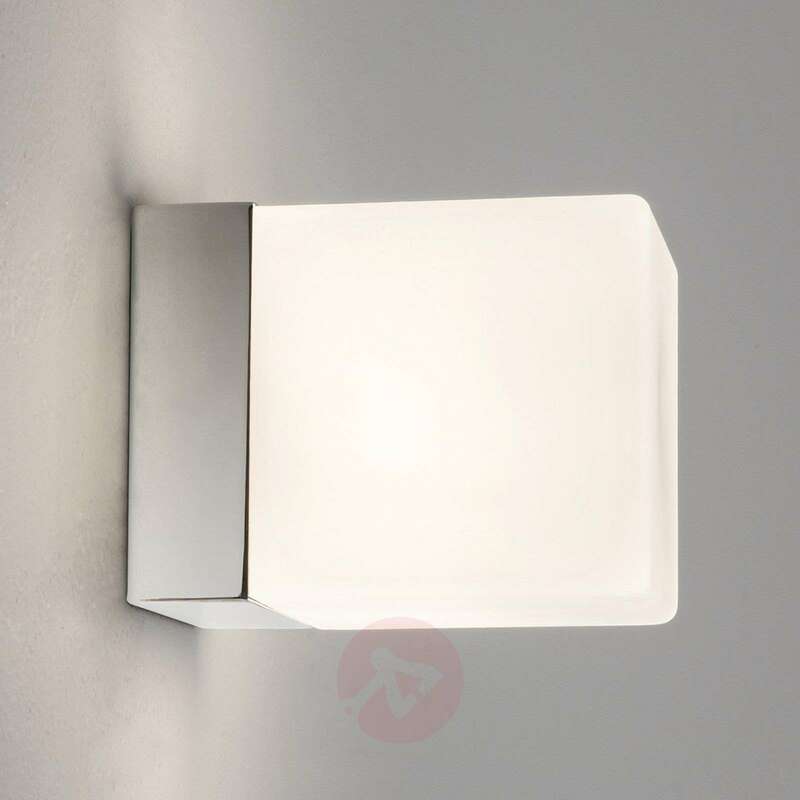 This timeless wall light in a cubic design ensures a pleasant ambience with its warm light. 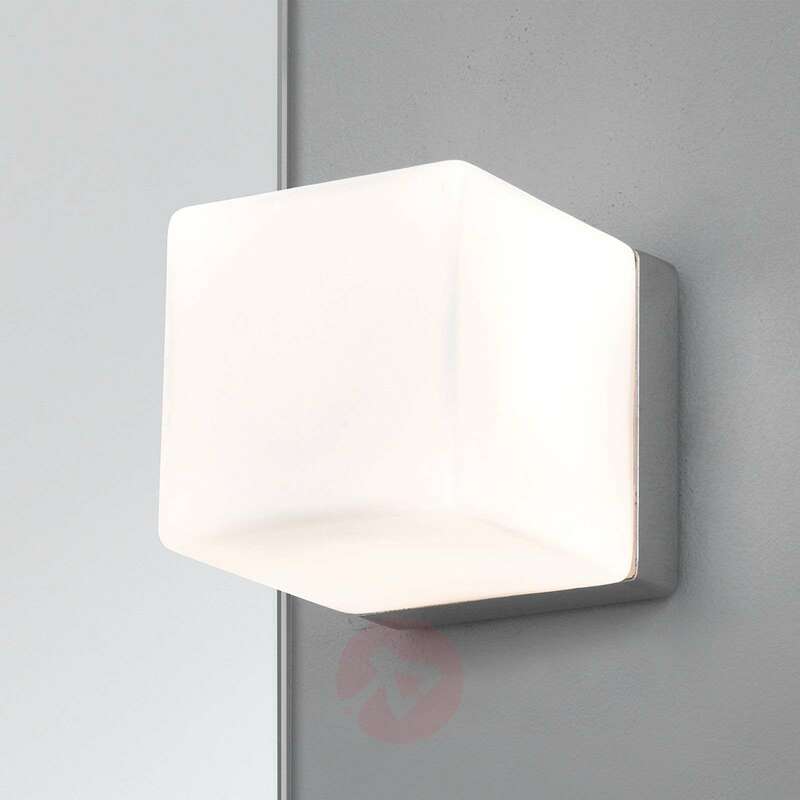 The chrome socket and its cube-shaped opal white glass emphasise the high-quality appearance. 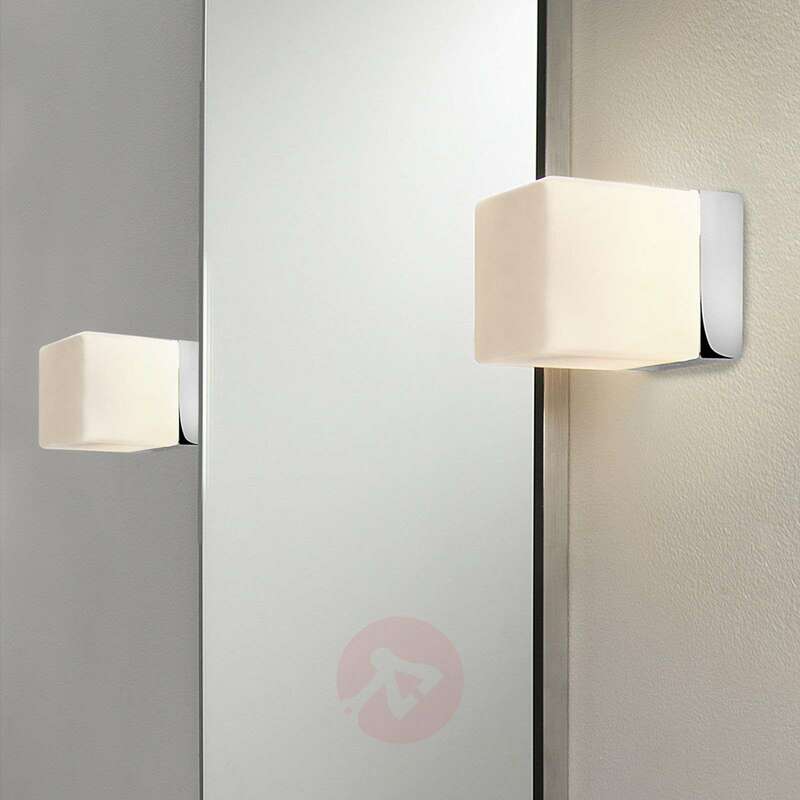 With an IP44 protection rating, Cube is well-protected from the wet and can be used either indoors or out, for example in the bathroom, staircase or on the outside house wall.